I just want to send a “shout out” to a great new Scoliosis publication, Scoliosis Quarterly Magazine. This new publication focuses on many different aspects of Scoliosis – from nutrition to emotional well-being to – YES, YOU GUESSED IT – WHERE YOU CAN GET THE BEST UNDERGARMENTS FOR YOUR BRACE! 🙂 Yes, I was very honored to have a beautiful 4 page article done on me and my business in the Fall 2014 issue. They were extremely professional, did a great write-up and the quality of the publication is wonderful. I subscribed and look forward to reading my upcoming issues and sharing the articles with my children and husband. Check out the Fall 2014 issue (available for purchase online, but not available to read online) to see the article. They did a fantastic job and I think it’s important to support a small business that is working to support the Scoliosis community. I hope you subscribe and enjoy! EmBraced In Comfort offers new color choices! Hi everyone. Just a quick update on the business side of things – we are still working hard to bring great choices and quality products to our brace-wearing customers. We have introduced two new colors in our new Rayon (from Bamboo)/Organic Cotton fabric. This fabric is super soft and supple against the body, is a natural, gentle fabric, and wicks moisture from the skin. We used to only offer it in White, but now we offer it in Black AND our new fun color – Raspberry! It’s such a pretty color (I will put a swatch below). It cheers us up when we walk into the shop and see it on the roll. 🙂 Thanks again for the continued support and we hope to keep hearing suggestions for improvement, listening, and making changes to better serve you. 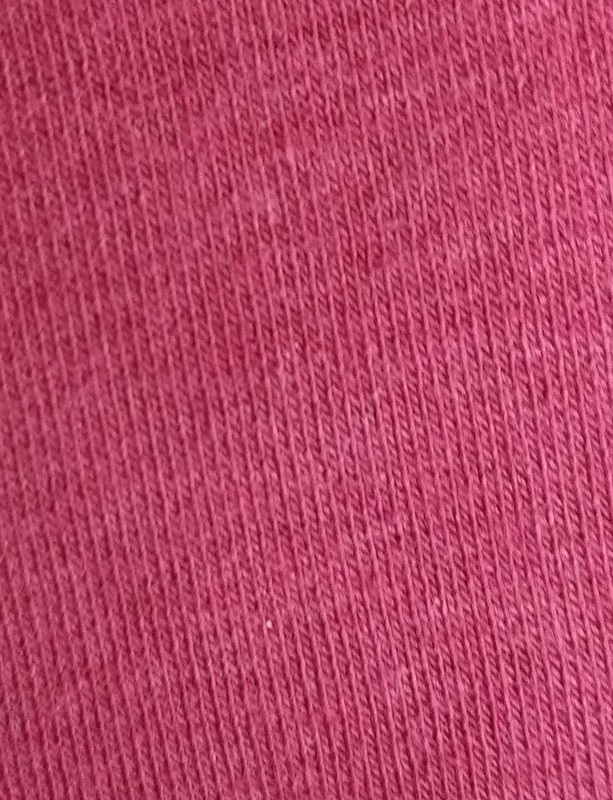 A swatch of our new Raspberry color!